Home » Shop » Funding Support » Shout Me A Virtual Coffee! I have a favour to ask. My best insights come when I’m writing in a café, so if you’ve received value from my website, I’d appreciate if you could shout me a virtual coffee! This also helps me to continue supporting the audience I write for, and the cafés that I write in. Although I can’t meet you in person, but when I write, I imagine you are sitting in the café booth opposite me, and we’re having an insightful chat about personal development, self-motivation, and success. When you buy me a virtual coffee, I get an opportunity to know who is sitting opposite me in the virtual café booth. You can also send me a question which I’ll answer via a Q&A Interview blog post. When you support my work through shouting me a virtual coffee, you assist me with my mission to empower you (and others like you) to discover what makes your heart sing, and pursue passion-based ventures. A coffee in New Zealand costs around NZ$5. Thank you for your support of me, the cafés where I’m writing, and the audience who I am writing for. 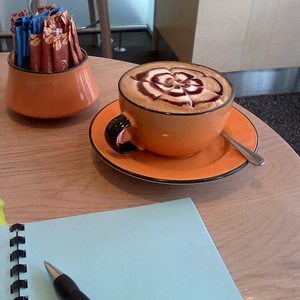 I look forward to enjoying a virtual coffee with you soon!